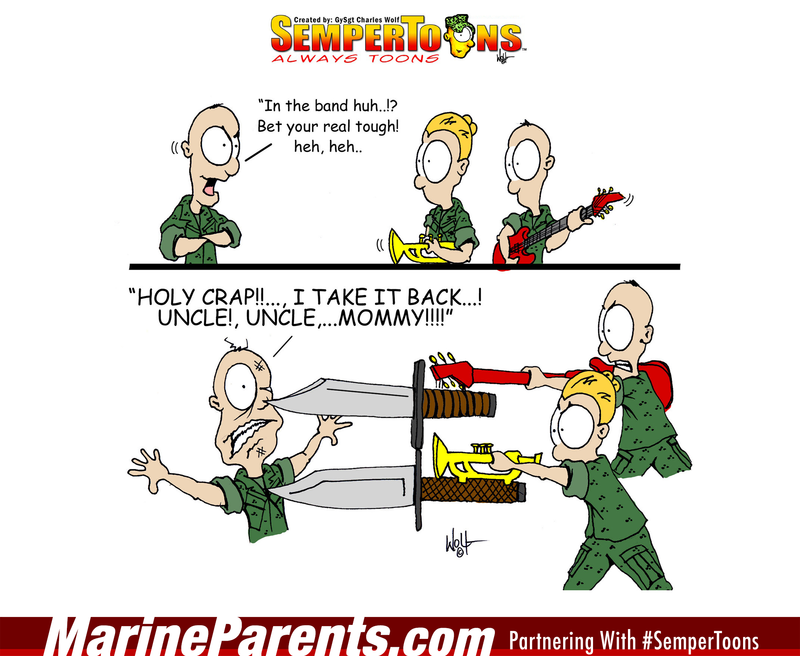 Gunny Wolf from SemperToons has created this cartoon that features a cartoon scenario where one Marine is mocking two others who are playing instruments. In the next panel, the two Marines with instruments fire back at their mocker by shooting knives out of their instruments, sending him off running. Shop In the Band SemperToons at the EGA Shop.